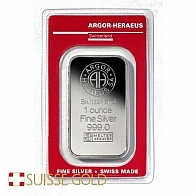 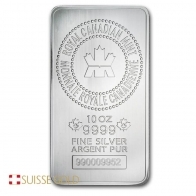 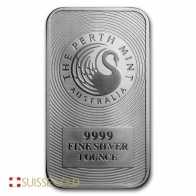 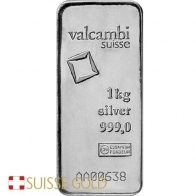 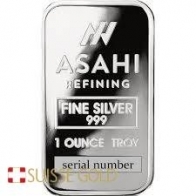 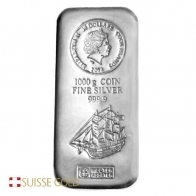 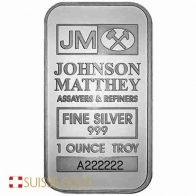 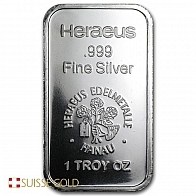 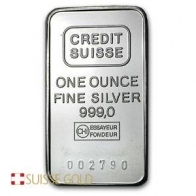 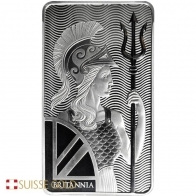 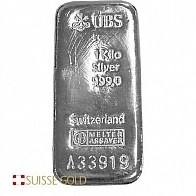 Suisse Gold offers competitively priced silver bullion bars including Credit Suisse, Heraeus, Johnson Matthey, PAMP, Suisse Gold, UBS, Valcambi and others. 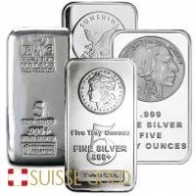 Customers may take physical delivery. 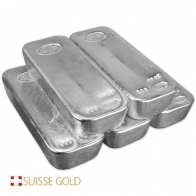 We also offer secure allocated bullion vault storage for clients wishing to maintain physical metals offshore.